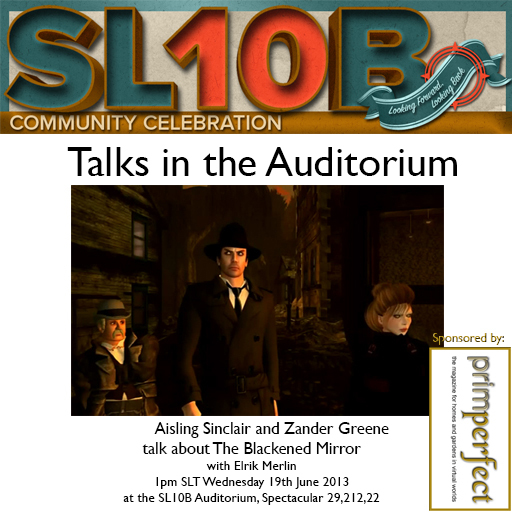 Prim Perfect is sponsoring three talks today at the Auditorium at the SL10B Community Celebrations. What lies ahead for the heroes of The Blackened Mirror? First of all, at 1pm, Elrik Merlin will be talking to Zander Greene and Aisling Sinclair, two of the cast of the popular Treet TV drama series The Blackened Mirror. Zander (in real life actor Scott Simpson) plays Harland Quinn, the private investigator in a big dieselpunk city who is hired by the mysterious Alais Allen (played by Aisling). They will be talking about the show and the upcoming series but … no spoilers! The show, by the way, is written by author David Abboy, who is also travelling The Long Walk at this year’s Community Celebration. Then, at 3pm, in the next in our series of Ekphrasis talks, Rowan Derryth will be talking to the very talented film-maker Draxtor Despres , who has been drawing plaudits for his new media series, the Drax Files. You can see more details of that talk here. 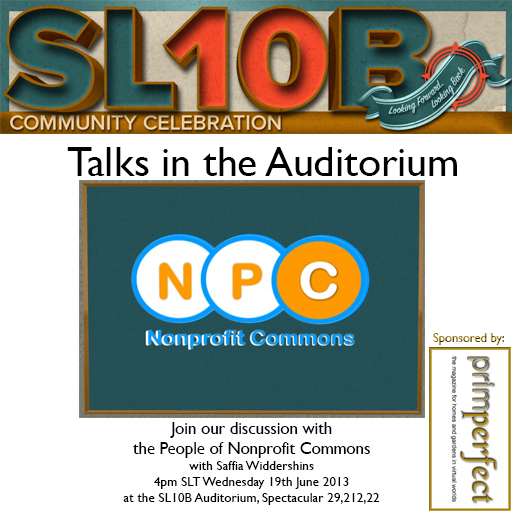 And last for today, at 4pm SLT, Saffia Widdershins will be talking to several members of Nonprofit Commons about their work and about the role of nonprofits in Second Life. 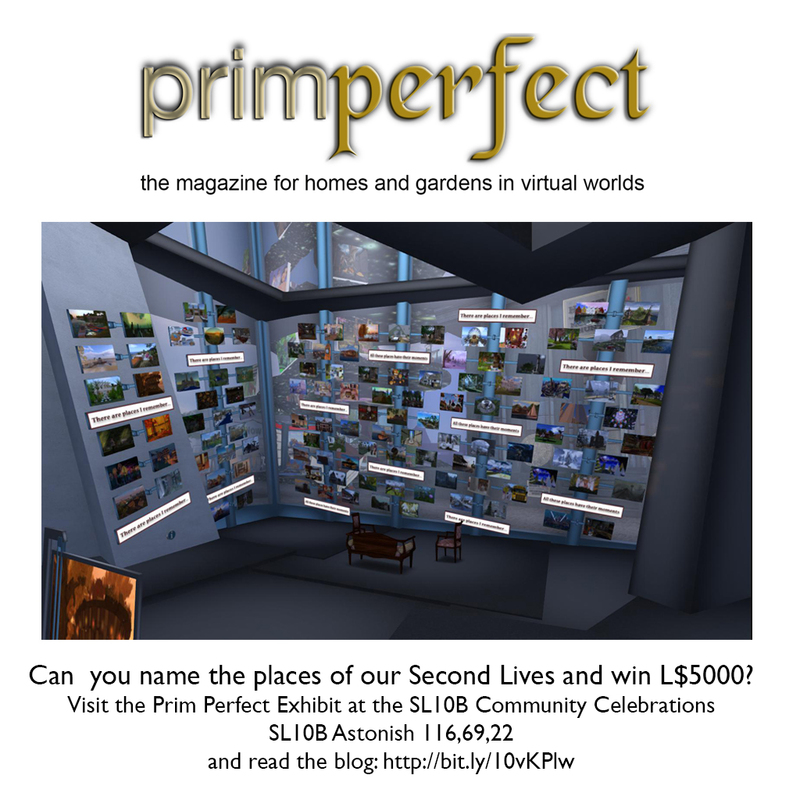 And don’t forget the special Prim Perfect contest at the Celebrations. 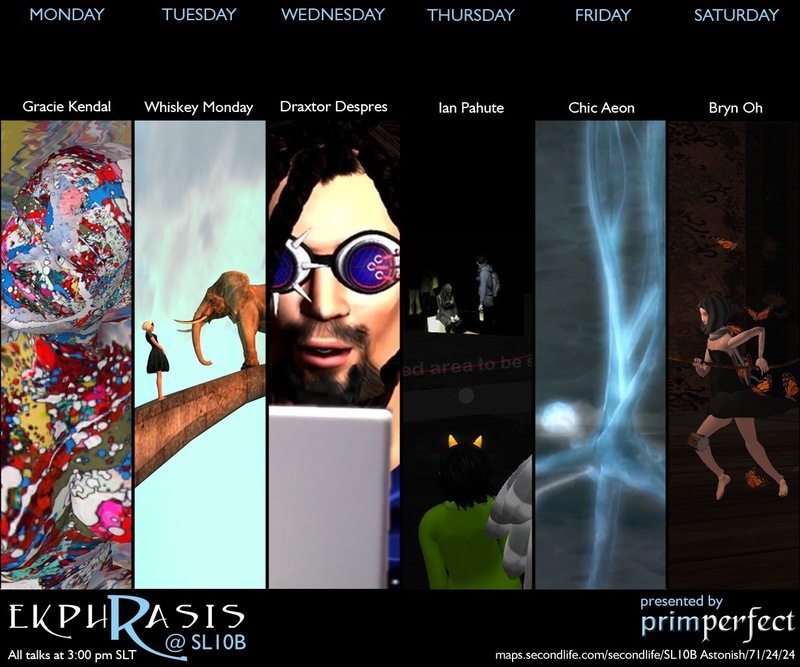 Name the places In Our Second Lives, and you could win L$5000! Can you name the places?